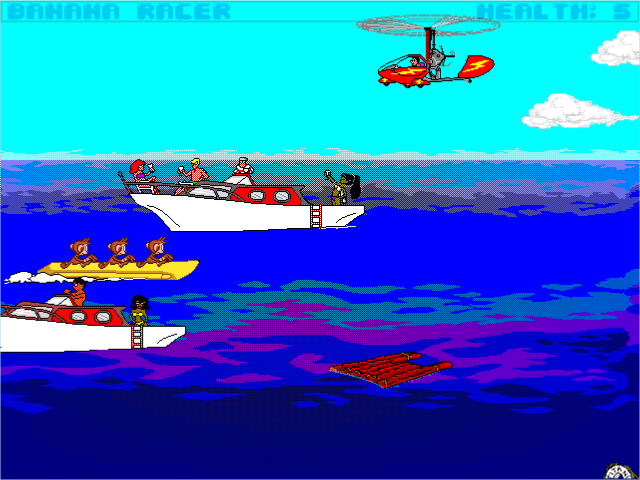 In this little retro arcade game you play as 3 monkeys, racing a banana boat against no one. 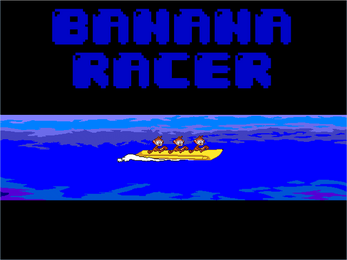 Try to avoid passing boats and rafts and catch bananas to increase health. 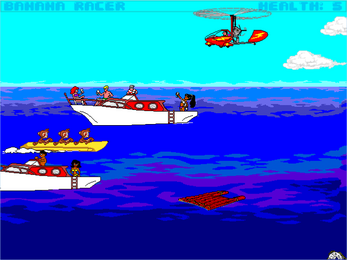 Try not to let the life-counter decrease to zero, or the monkeys will die a gruesome death!